Smog is all set to engulf Lahore for another toxic spell yet again. The provincial capital has gone through severe smog conditions for the past couple of years with no safety measures by the provincial government beforehand. The arrival of smog every year has particularly made it the fifth season of the year for Lahore. Once again, the residents of Lahore shall get ready to face this year’s spell of smog that may cause some serious health conditions. The condition of smog has increased tremendously over the last few days amid the lack of rainfall, a considerable drop in the minimum temperature, increase in humidity, ongoing development projects, the lack of sprinkling water and smoke from the industries and hundreds of vehicles running on the roads of the provincial capital and adjoining areas of Punjab. The level of smog will only increase in the coming days with no considerable actions taken by the government to tackle the environmental conditions. 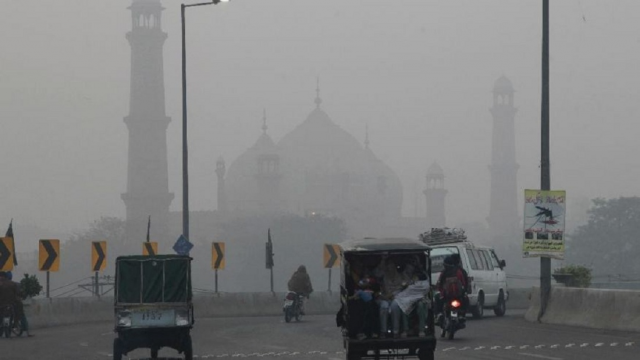 The Lahore High Court (LHC) had earlier formed a 13-member smog commission to conduct meetings regarding the smog conditions and present a report on the current situation and equipment available to monitor the conditions. The Environmental Protection Department (EPD) has failed yet again to update its air quality monitoring system. The air quality monitoring stations were supposed to collect information regarding the intensity of air pollution that unfortunately failed to determine the realistic values. It clearly shows the incompetence of Punjab Environmental Protection Agency (EPA) to measure the air quality index in the provincial capital. Lahore and Karachi are ranked in the top 10 list in terms of most polluted cities around the world. 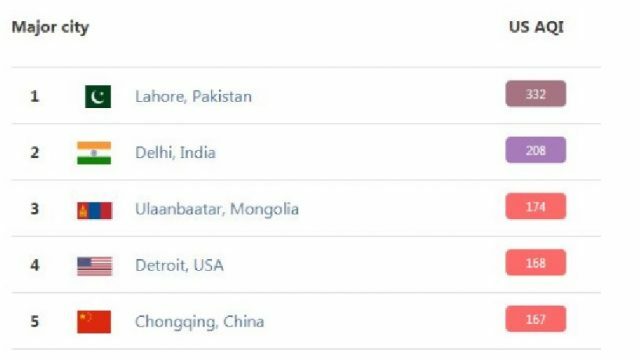 According to the US Air Quality Index (AQI) report, Lahore ranks on the top of the list with an alarming number of 332 followed by Delhi, which is not situated too far from Lahore. An AQI over 300 lies in the last stage known as the hazardous region that calls for a health alert in which citizens may experience serious health conditions. 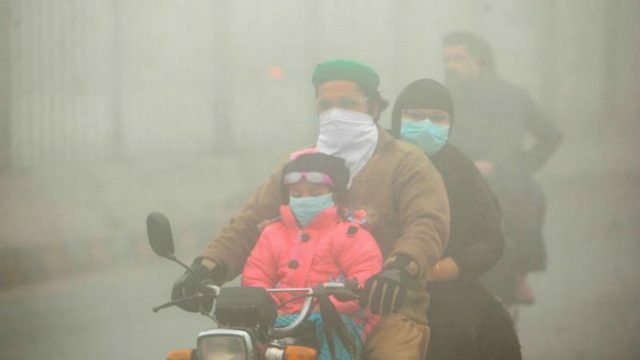 The current environmental condition of Lahore with the smog level rising is particularly dangerous for the patients suffering from heart and lungs diseases such as asthma. Smog is formed when sunlight and its heat react with the atmospheric pollutants and gases released in the form of smoke. Air pollution is the main cause of the formation of smog in the atmosphere. The elevated levels of ozone in the smog may leave a variety of negative effects on the respiratory system. Ozone itself has both beneficial and harmful effects on our environment. The presence of ozone in the stratosphere, much higher from the earth protects the environment from the ultraviolet radiations coming from the sun. In the absence of the ozone layer, solar ultraviolet radiations may affect the human health on direct exposure. However, the ground-level ozone formed near the ground due to the weather conditions and air pollutants causes various infections, irritation in eyes and breathing issues. Smog occurs mostly in the densely populated urban areas where the traffic flow adds up to the pollutants in the air immensely. There are a number of factors that contribute to polluting the environment and causing smog conditions. It is formed by complex photochemical reactions that involve organic compounds and nitrogen oxides resulting in the ground-level ozone. The smoke emitting vehicles, industrial emissions, power plants, burning of crops, and brick kilns are the main contributors to developing smog in the environment. With the lack of rainfall, falling minimum temperature and increasing humidity is making the smog level rise in the provincial capital. The government has been more concerned in shutting down the smoke emitting industries and brick kilns to fight against the smog conditions. As per now, the number of smoke emitting vehicles running on the roads of Lahore majorly comprise of the public transport. These vehicles have affected the environment of the city significantly over the years. 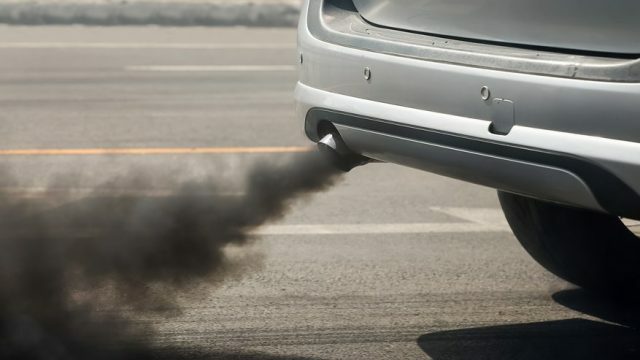 However, the government has recently decided to ban all the smoke emitting vehicles in Lahore but the process will take time to come under effect and fight against smog this year. Moreover, the ongoing development projects in Lahore such as Orange Line Metro train project that has stopped in the middle due to the lack of funds, have also contributed in raising the level of pollution inside the city to a great extent. The contractors have left the projects without sprinkling water on a regular basis that causes dust particles to rise in the air, hence polluting the environment. All these causes of smog add up to affect the residents in the shape of multiple health hazards. – Breathing becomes extremely difficult and may cause ageing of lungs prematurely. – The pollutants present in the smog may cause eye and throat irritation and infection. – Long-term exposure to the smog environment may affect eyes, skin, and lungs considerably. – Inhaling smog affects the lungs elasticity. – The ability of human beings to resist diseases may reduce when exposed to smog conditions that result in many other diseases to attack the body easily. – Children and elder people are more susceptible to the effects of smog especially those suffering from heart and lungs diseases such as asthma. The thick blanket of smog is spread all over the provincial capital and demands some serious precautionary measures to be adopted under these conditions. Smog has engulfed the entire city and causing serious visibility issues and affecting the traffic flow as well. With the expected rise in the level of smog across the city, the number of road accidents may increase considerably if safety precautions are not adopted by the residents. One should give up the daily routine activities in such conditions to stay safe. Doctors suggest various precautionary measures that need to be followed by everyone living in Lahore. – Without any delay, get an appropriate face mask that may help you in protecting against the polluted environment. Breathing may become very tough in smog conditions and causes various throat infections. Therefore, cover your nose and mouth all the time while moving outside. 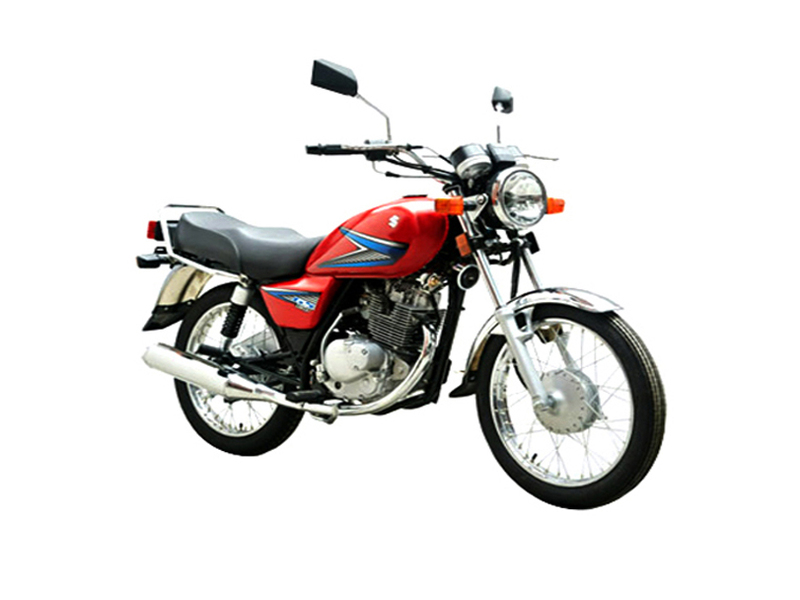 – For the ones travelling on motorcycles, it is necessary to wear a helmet and protective glasses to avoid any eye contact with the polluted environment. Long-term exposure to smog conditions may cause irritation in eyes and various types of infections. – Avoid unnecessary travelling to save yourself from the hazards of smog on health. The number of vehicles on the road will also decrease, hence reducing the smoke emissions from the vehicles that help in smog to thicken up. – Keep the windows of your houses close to minimize the effect of smog inside. – Avoid outdoor activities such as a workout or playing games to keep you safe from the hazardous effects of smog on human health. Such activities cause the heart rate to rise and breathing extra air which may lead to chronic respiratory issues. – Especially the children and elder ones who are suffering from heart and lungs diseases like asthma should avoid going out at all times during smog conditions. Smog may cause significant damage to the lungs and malignant infections. – Plant more trees and plants around your home to ensure there is more fresh oxygen to breathe. Due to the prevailing dry weather conditions, smog level has raised to a dangerous level that can only reduce to some extent in the case of a rainfall in the next few days. The precautionary measures shall be followed by the residents to avoid any hazardous health effects. People living in Lahore should get ready to encounter extreme smog conditions and protect themselves by following the instructions. If you have any other suggestions regarding the protection against smog, let us know in the comments section below.